On the occasion of World Forest Day i.e., 21st March 2014 and International Water Day i.e., 22nd March 2014 the ENVIS Centre of Sálim Ali Centre for Ornithology and Natural History (SACON) collaborated with the Nature club of Amrita University and conducted various events at the Techno fest "ANOKHA" held at Amrita University during 20/3/2014 to 22/3/2014. To create awareness among the students, the following events were conducted. The questions were related to Forest and Water. 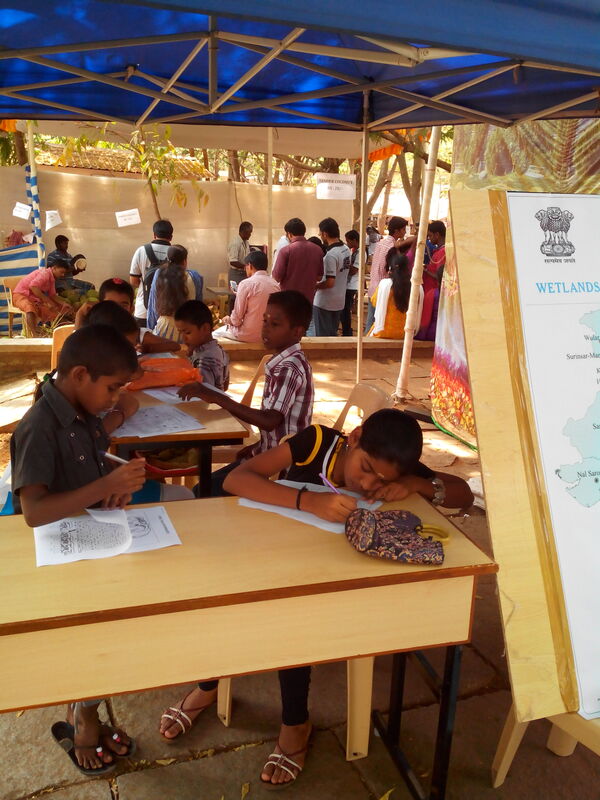 Students from various colleges and schools actively participated in all the events in addition to general visitors. A film related to forest and wetland was also screened. 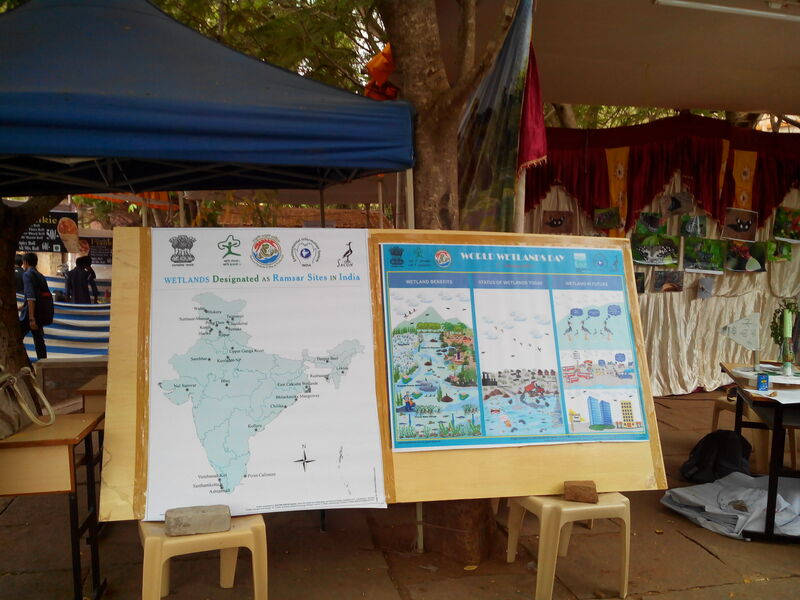 A stall was also organised to display the publications and posters of SACON ENVIS centre. 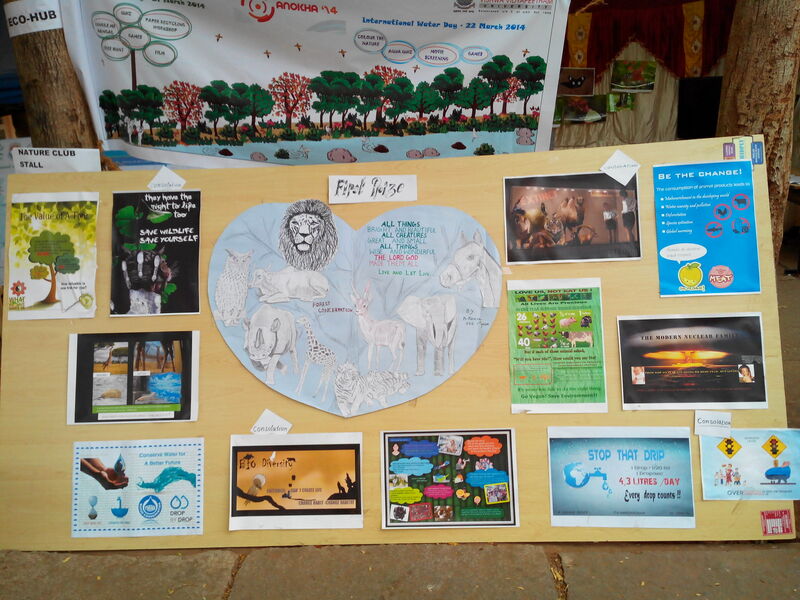 The campus Biodiversity photographs of Amrita University taken by the students were also put up in the stall. 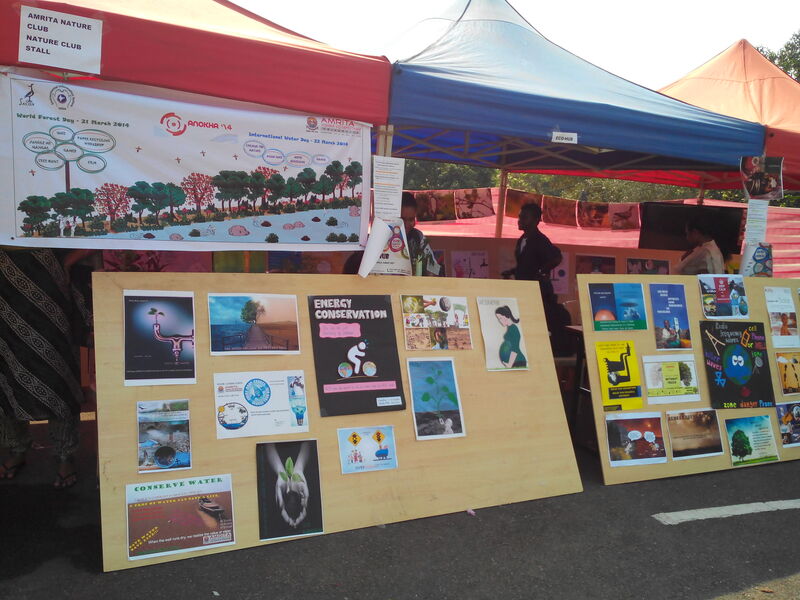 In addition, a poster competition was also held based on the themes Biodiversity, Wetlands, Forest, Energy and Resource Management. 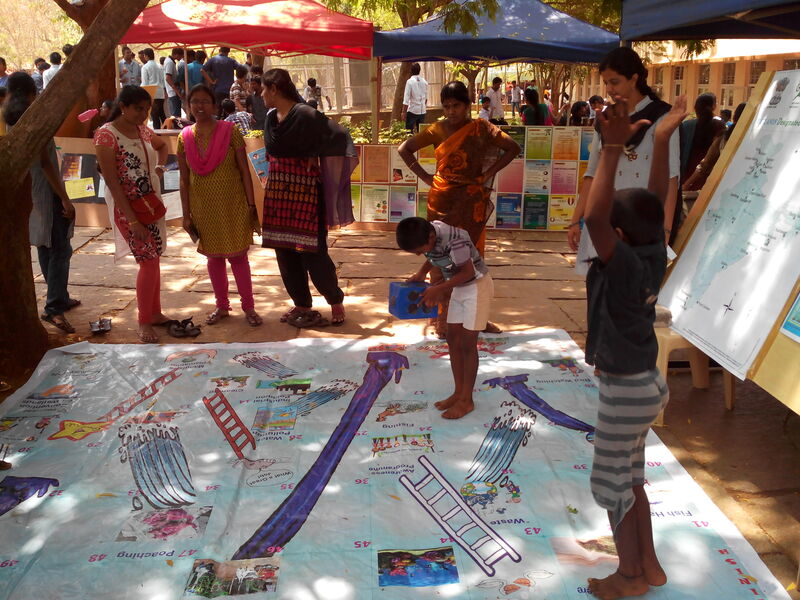 The entire ENVIS team from SACON participated in the activity along with Dr.Maya Mahajan of Amrita University. Copyright (c) 2012 by Ministry of Environment & Forests, Govt. of India. All rights reserved.